Far too often, hype and image has triumphed over talent. Meanwhile, commercial success and critical acclaim eludes truly talented artists. Chastened by the experience, many of these artists turn their back on the music industry. They’re content to return to civvy street, free from a world populated by A&R executives, PR companies and radio pluggers. At least the artist knows that they gave it their best shot. Alas, it wasn’t to be. Now they begin the first day of the rest of their life. This is what happened to Brooklyn born soul singer Alice Clark. 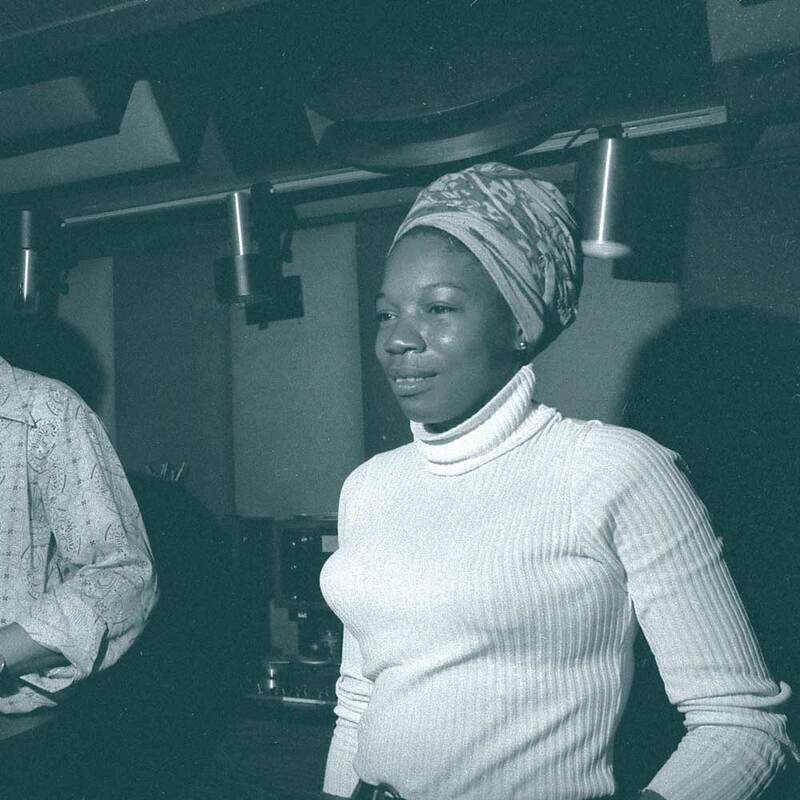 Her career began in 1968, and was over by 1972. 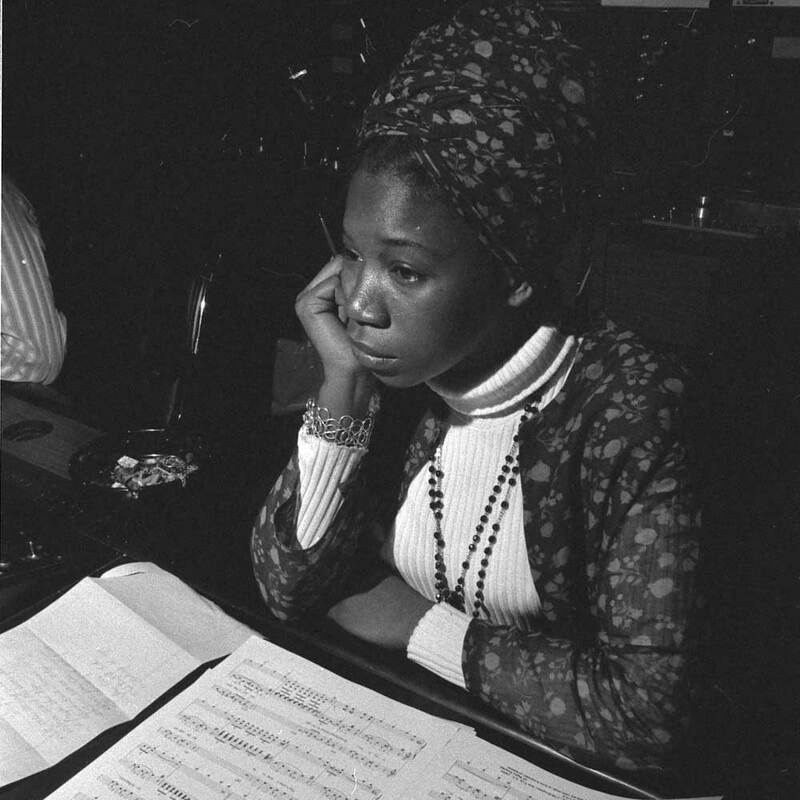 During that four year period, Alice Clark recorded just fifteen songs during three recording session. 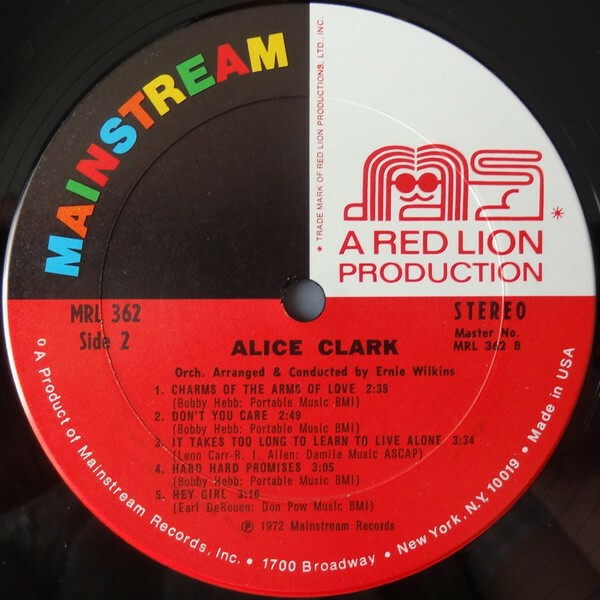 This includes two singles and her 1972 album Alice Clark. 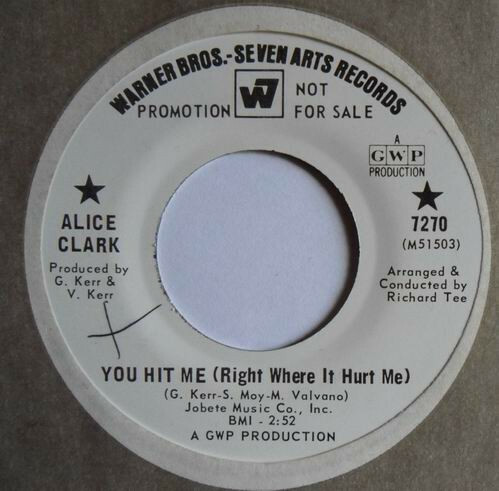 After commercial success eluded her, Alice Clark career turned her back on music. 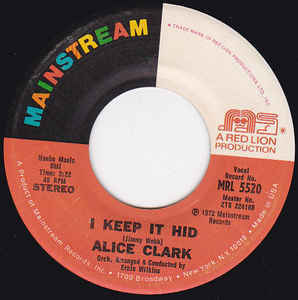 Since then, Alice Clark has remained one of the soul music’s best kept secrets. She’s also one of music’s music enigmatic figures. Very little is known about Alice Clark. Indeed, her story is almost shrouded in mystery. All that’s known, is that Alice Clark was born in Brooklyn, and shared the same manger as The Crystals. 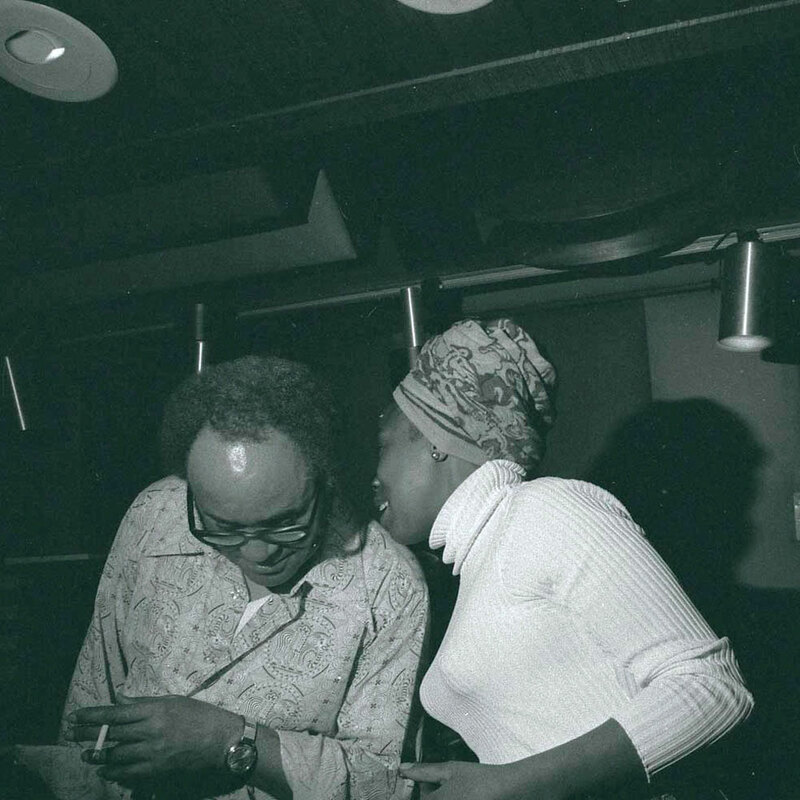 It was her manager that introduced Alice to singer-songwriter Billy Vera. The meeting took place at April-Blackwood Music, who at the time, were Billy Vera’s publishers. That afternoon, Billy spent time teaching her some songs that he had written. These songs would be recorded in 1969. 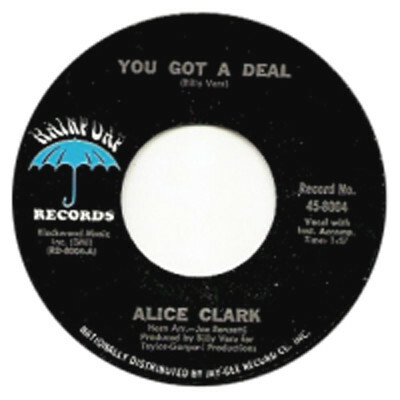 With the three songs recorded, the Rainy Day label decided to release You Got A Deal in January 1968. It was a driving slice of soul, with a feisty, vocal from Alice. Horns and harmonies accompany Alice as she’s transformed into self-assured soul singer. The flip side was Say You’ll Never, a quite beautiful ballad. A number of radio stations began playing the song. 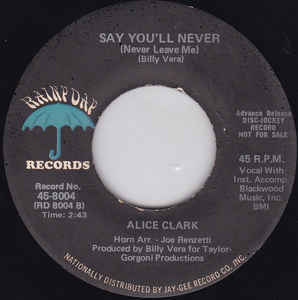 Despite this, Alice Clark’s first single wasn’t a commercial success. It was an inauspicious start to Alice’s career. Alas commercial success continued to elude Alice Clark. You Hit Me (Right Where It Hurt Me), which became a favourite on the Northern Soul scene, features an impassioned, hurt-filled vocal. 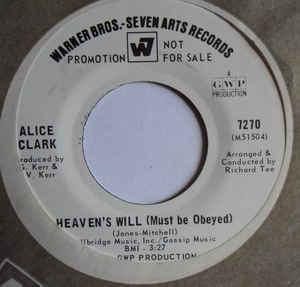 Just like Alice’s debut single, the B-Side was a ballad Heaven’s Will (Must Be Obeyed). It features a heartfelt vocal where the secular and spiritual collide. Just like You Hit Me (Right Where It Hurt Me), Heaven’s Will (Must Be Obeyed) Heaven’s Will (Must Be Obeyed) showcased a truly talented singer. Sadly, very few people realised this. Alice Clark was one of music’s best kept secrets. Soon, work began on Alice Clark’s debut album. A total of ten tracks were chosen. This included a trio of Bobby Hebb songs, Charms Of The Arms Of Love, Don’t You Care and Hard Hard Promises. 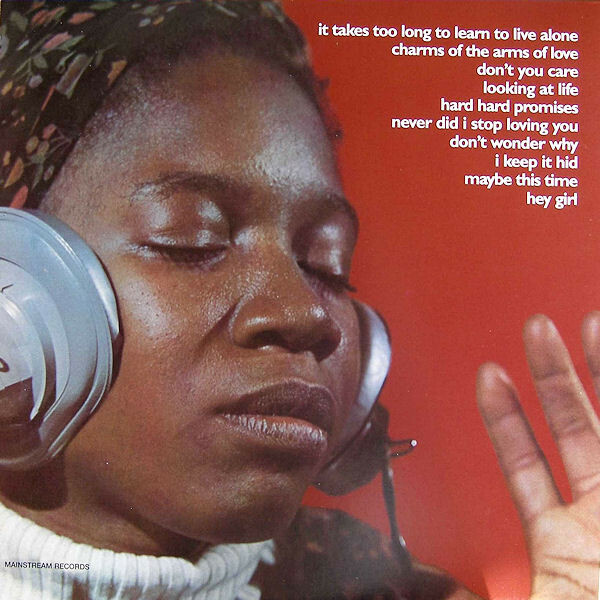 Among the other songs were Jimmy Webb’s I Keep It Hid; Petula Clark and John Bromley’s Looking At Life; Leonard Caston’s Don’t Wonder Why; Juanita Fleming’s Never Did I Stop Loving You and Earl DeRouen’s Hey Girl. The other songs chosen were John Kander and Fred Ebb’s Maybe This Time and Leon Carr and Robert Allen’s It Takes Too Long To Learn To Live Alone. 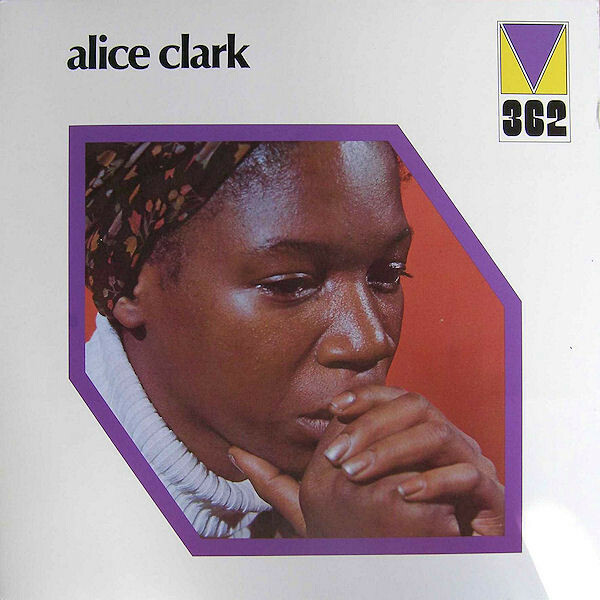 These songs became Alice Clark. 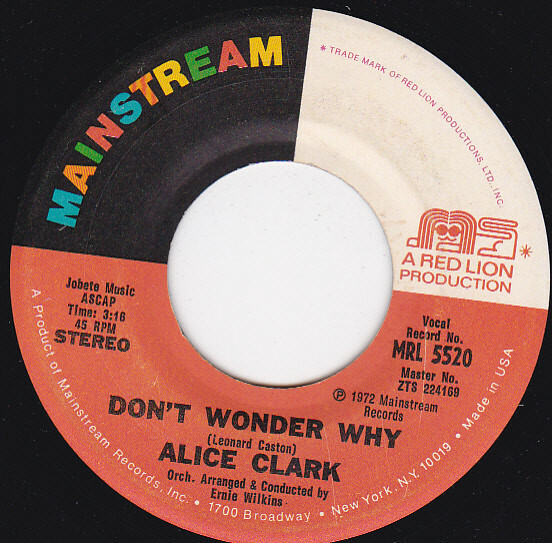 During her four year career, Alice Clark had recorded just fifteen tracks. They’re a mixture of beautiful ballads and uptempo songs. On each and every song, Alice breathes life and meaning into the lyrics. Her delivers veers between heartfelt, impassioned and soul-baring, to assured, hopeful and joyous. 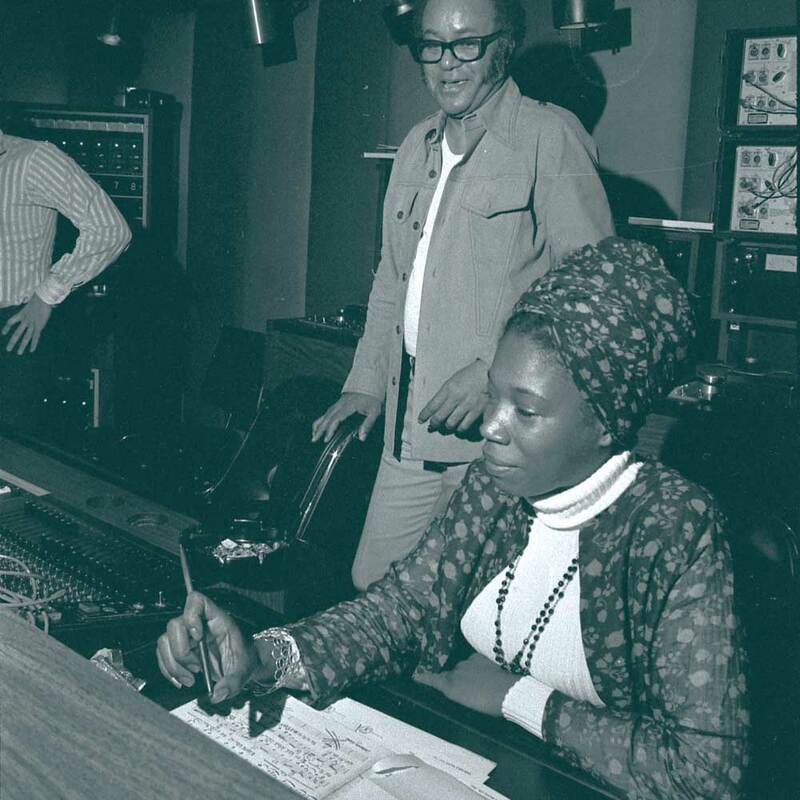 It seems when Alice Clark stepped into a recording studio, she was transformed. No longer was Alice Clark the quietly spoken young mother that Billy Vera remembers. Suddenly, the God-fearing Alice Clark disappeared, and was replaced by one that wore her heart on her sleeve. She was comfortable sings songs about love and love lost, and could breath life and meaning into songs about hope, hurt, heartbreak and betrayal. Despite her ability and versatility, Alice Clark commercial success and critical acclaim eluded Alice Clark. ← SAM DEES-SOUL MUSIC’S BEST KEPT SECRET.